Last year we launched the latest watch camera poker cards analyzer and it has become the favorite of the card players around the globe in very little time. It has got super fast scanners which are very quick responsive when it comes to reporting the details of the cards to the user. 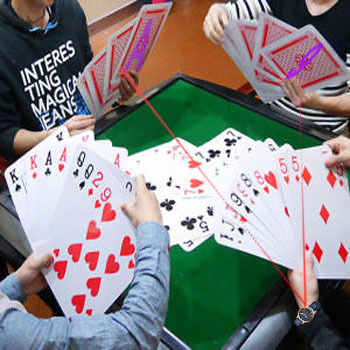 Poker cheating cards watch device is the best wireless remote camera device to use with different cards analyzers. This remote device doesn’t require any use of wires. Use can easily put in on his wrist or place it at the table facing the cards. It works on rechargeable batteries providing longer battery backup but we highly recommend turning it on just a minute before playing the game starts to use these cards for scanning cards and getting information. Top right button on the poker cheat watch device turns on the device and immediately after turning on the device it starts to report the results of the desired card games to the user.